Dr. Jennifer White is an Associate Professor in the Department of Entomology at the University of Kentucky. She received her PhD in Ecology evolution and behavior from the University of Minnesota. Afterwards, Jen completed a postdoctoral fellowship at the University of Arizona. Jen is with us today to tell us all about her journey through life and science. Jen’s research focuses on the ecological and behavioral ramifications of bacterial endosymbiont infection in insects. 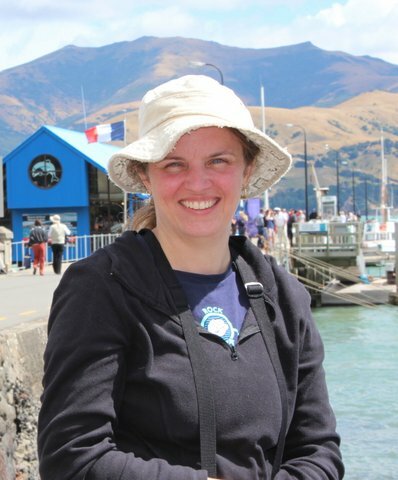 In particular, she is interested in exploring the consequences of endosymbiont infection within the context of introduced species and biological control. Maternally-inherited bacterial endosymbionts are common among arthropods. Some symbionts are obligate and mutualistic, providing their hosts with nutrients or performing other essential functions in their hosts. Other symbionts are “facultative”, without which hosts can survive and potentially thrive. In recent years, it has become increasingly evident that these facultative symbionts can have major effects on their host’s biology, including: manipulation of host reproduction, influencing dispersal, affecting host plant choice, changing host temperature tolerances, altering fecundity, and providing defense against parasitoids, fungi, and viruses. These effects, in turn, have the potential to influence the ecological interactions between infected hosts and other members of the community. For example, an aphid that is infected by a symbiont that protects against parasitism may be harder to control biologically, and more likely to reach pest outbreak status, than an uninfected aphid. Yet studies that address these ecological effects of bacterial symbionts in the field are practically nonexistent. The ultimate goal of Jen’s research program is to test the importance of bacterial symbionts in driving pest/enemy interactions in the field.